1. The .mp3 codec is available with an .AVI container. 2. Added an option, "Play mouse click sounds while recording". 3. Added an option, "Play sound effects when started or stopped". - The webcam preview showed a black screen while recording in some games (Rage, etc.). - The HDYC colorspace input couldn't record in Device Recording Mode. 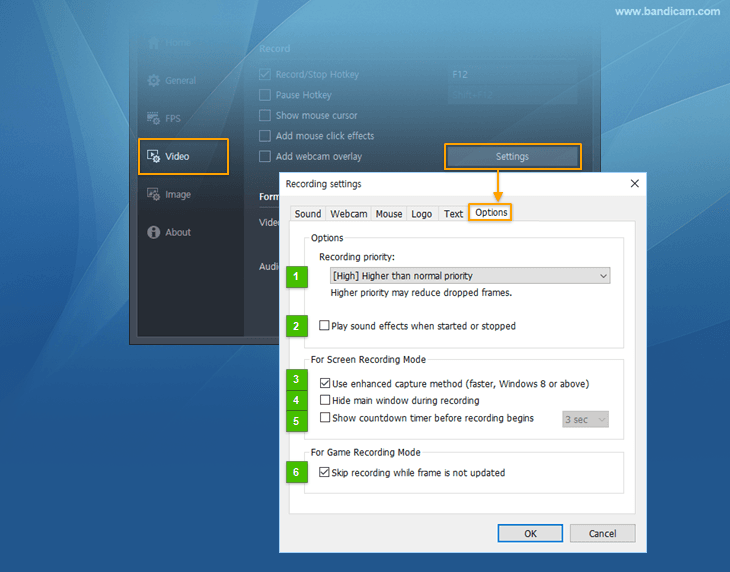 - A memory leak occurred when hooking DirectX 11 games/applications in Game Recording Mode. 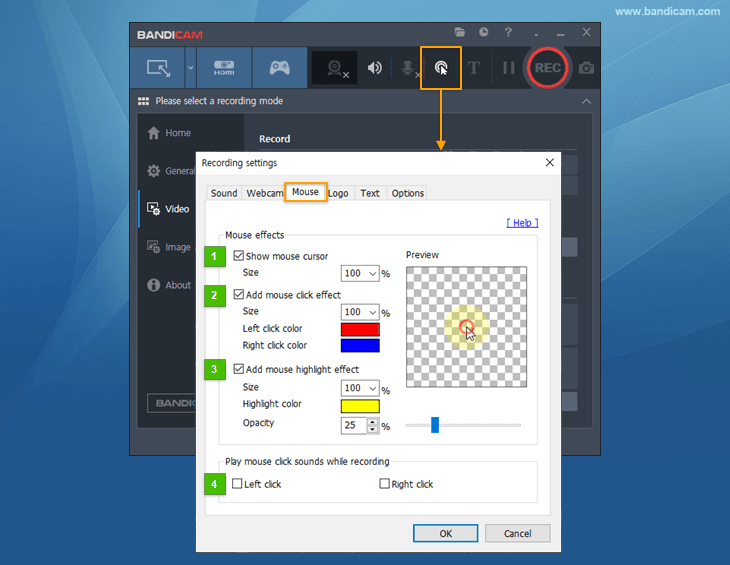 - Bandicam stopped working when changing the display settings (resolution, main monitor) in 'Screen Recording Mode'.